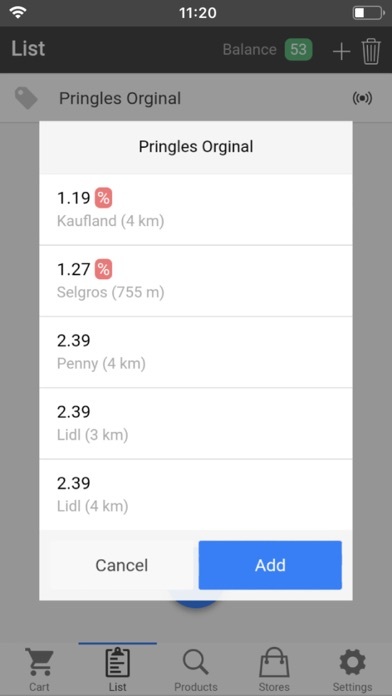 Multifunctional App Comparator: - Create your own shopping list - Find shops, pharmacies and gas stations nearby - Compare prices - Buy your favourite goods at a lower price - Examine the price history - Get the information about defecive and expired goods - Keep your purchases under control: Automatic total sum in the shopping cart - Reward bonus points for the active app usage Looking for a certain product, shop or even a gas station nearby? Would you like to find and buy the cheapest product you wish? Or compare the prices in your favorite store with the prices in other stores? Are you interested in the price history for a desired product during some period of time? Then the Comparator App is exactly what you are looking for! Make your own shopping-lists, calculate the total price of your cart, keep your purchases under control, find the cheapest price for the products you need, tell other users and friends about the price behavior and sales & get some loyalty points as a reward. Buy every product you wish at the best price ever! How To Use Comparator Pro This app is oriented towards local usage directly in the shop and deals as an instrument for comparing prices for certain products or goods in various stores. 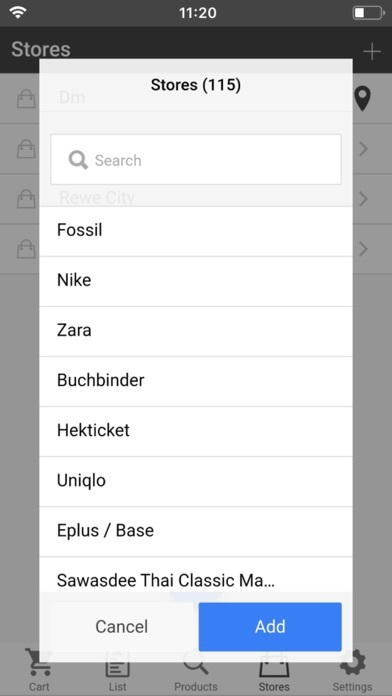 Besides you can easily find any shops, drug stores or gas stations nearby. And you can also find out a price for your favorite product in the neighboring shops, in case that product has already been found and added to the database by you or somebody else. The tab "Cart" is intended to be used by scanning a barcode of the product directly in the shop. Adding products to the cart *1) and indicating its price, you have an opportunity to control all your purchases and check the total price of the cart. 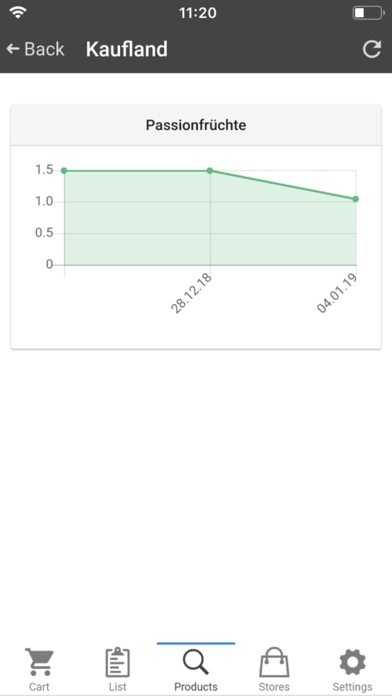 If prices for a certain product in different shops have already been saved on your device, then the price comparison occurs automatically, and you will be informed of the results *2). 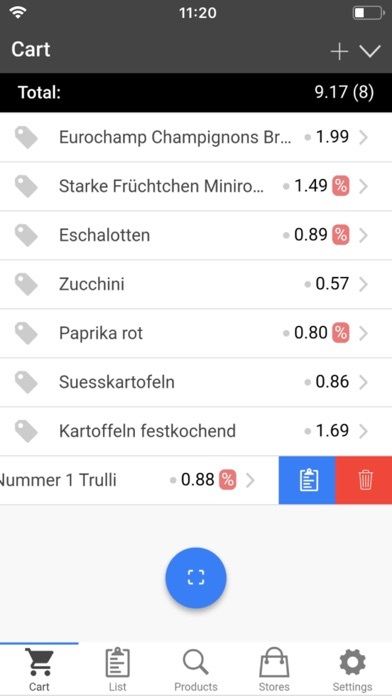 For example, if the product is cheaper in this shop than in the others, it will have a green colour mark (a green dot) and a red colour mark, if the product is more expensive in this shop. 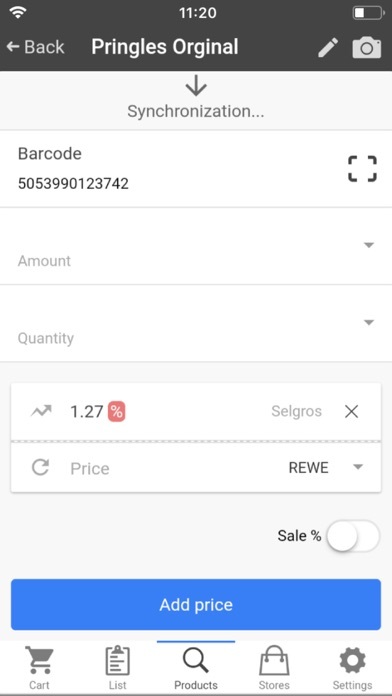 The more prices of the product in various shops have been saved on your device by using the barcode scanner, the better the results of the price comparison will be. You also have an opportunity to count a total price of the bulk products *3). *1) By adding a price using the barcode scanner, you will earn bonus points as a reward. If you have noticed that the price has been changed, is not correct or the product is on sale now, you can also earn bonus points by changing the price correctly. *2) There is a colour price indicator (colour price mark) on the screen near the price of the product. It depends on the product prices, that have been added before: Grey – neutral, this product has the same price in other shops; Red – more expensive, there is a better price on this product known to your device; Green – you buy this product at the best price ever. If the product has a red colour mark, you can just add it to the tab “List” and buy it later, when it has a better price. *3) By adding a price for a product in bulk, add the total price of it at first (for example, price for 1 kg / 1 lb). Then go on to the tab of the product, indicate its amount and enable the option "in bulk". 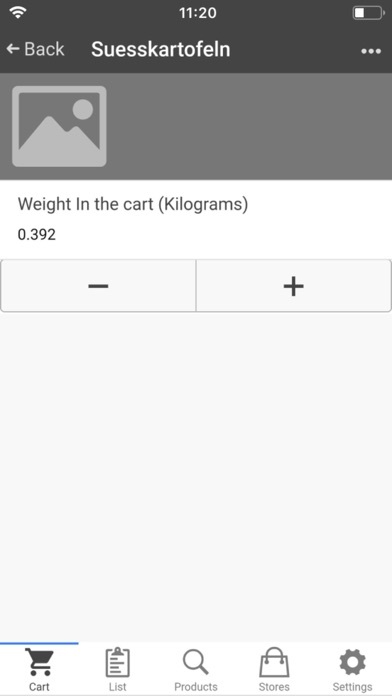 Now return to the cart tab and indicate the weight of the product. If everything was done correctly, its price will be shown automatically.